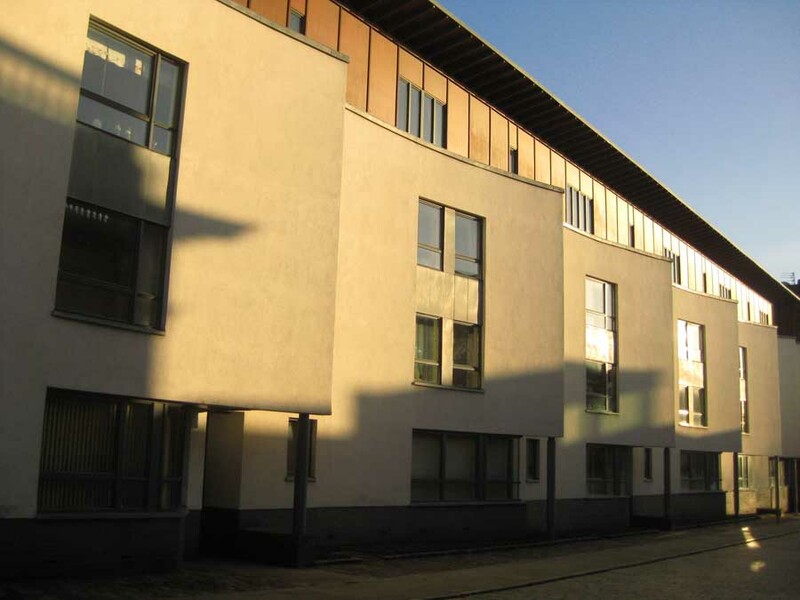 PagePark has recently completed an affordable housing scheme, funded by the New Gorbals Housing Association and Communities Scotland. The development sits on a brownfi eld site formerly occupied by Clyde Salvage, adjacent to Friary Court also designed by PagePark. The project comprises 48 affordable residential units available for rent which are a mixture of maisonettes and 1 and 2 bedroom fl ats together with a communal laundry. 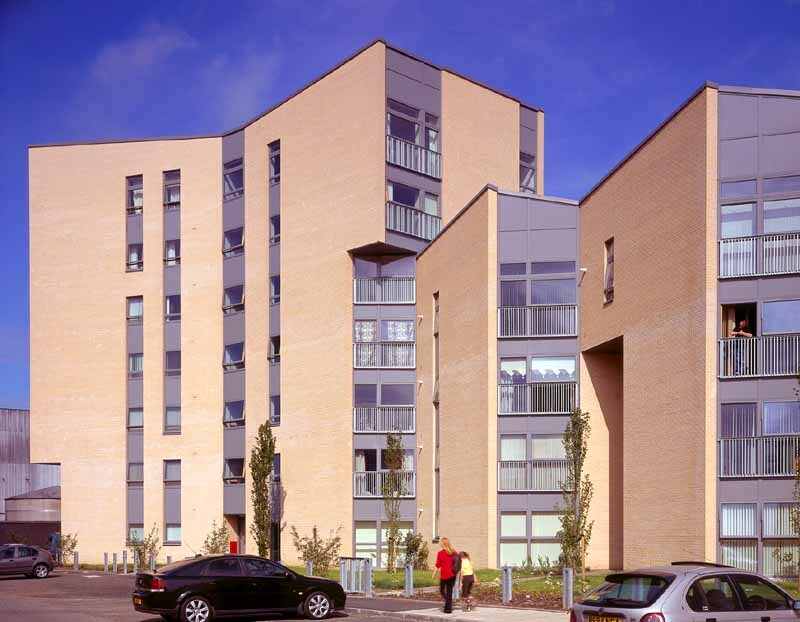 Simon Metcalf of New Gorbals Housing Association commented: “New Gorbals Housing Association are highly satisifed with the results of their latest collaboration with Page/Park Architects. 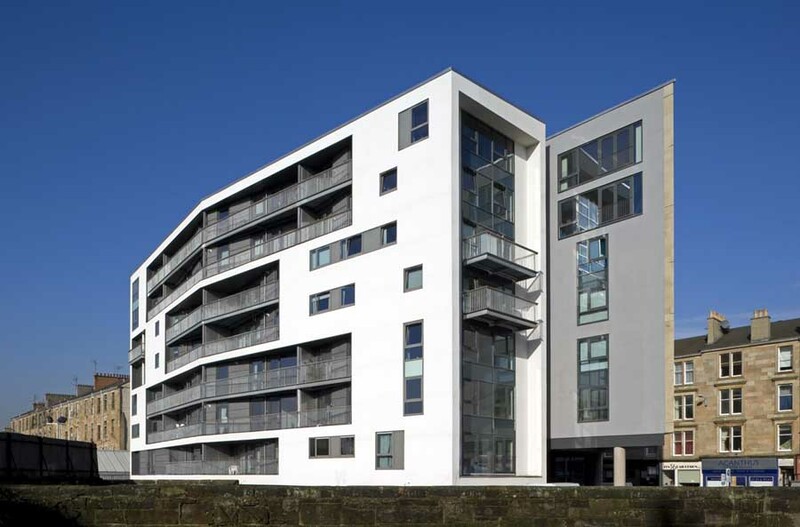 The building at Clyde Salvage combines an elegant use of the development site with fl ats and houses that have delighted their tenants. As always the development process has been typifi ed by constructive client/architect interaction, design refi nement and attention to detail. 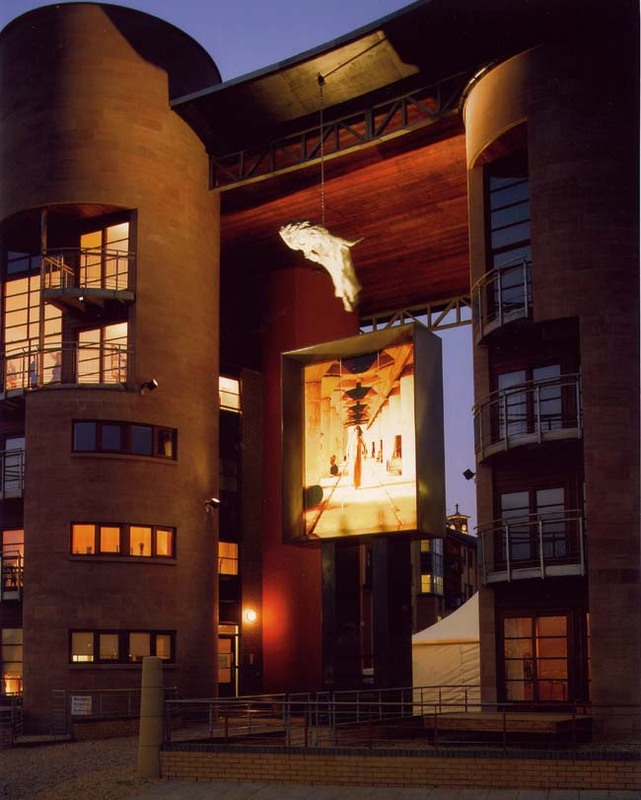 The outcome graces the renewed Gorbals and has already acquired the affectionate local name of the “Jaggy Building”. The form of the building, a seven storey tower and four tenement blocks each four storeys, responds to the nearby Gorbals developments at Queen Elizabeth Square and the neighbouring1990’s housing association blocks. The overall geometry is arranged around a fl attened s-shaped “spine” onto which a series of brick planes are angled to create a series of glazed slots orientated toward the West/South- West, allowing the designers to orientate the building towards sunlight and green space. At the tower the orientation of the end plane is mirrored to face North-South on the same axis as the 1960’s Robert Mathew tower blocks diagonally opposite. The overlaying of curved ‘vertebrates”’against street grid creates a series of generous front garden spaces along Waddell Street within a restricted plot. Materials have been kept simple with buff brickwork throughout punctuated by aluminium clad timber windows and screens. The Tower Roof and terrace roof edge are crisply defi ned in pre-patinated zinc. The tower is steel framed with metal stud framing to the inner leaf and hollowrib concrete floors. The terrace is traditional brick and block construction with precast concrete slab floors. 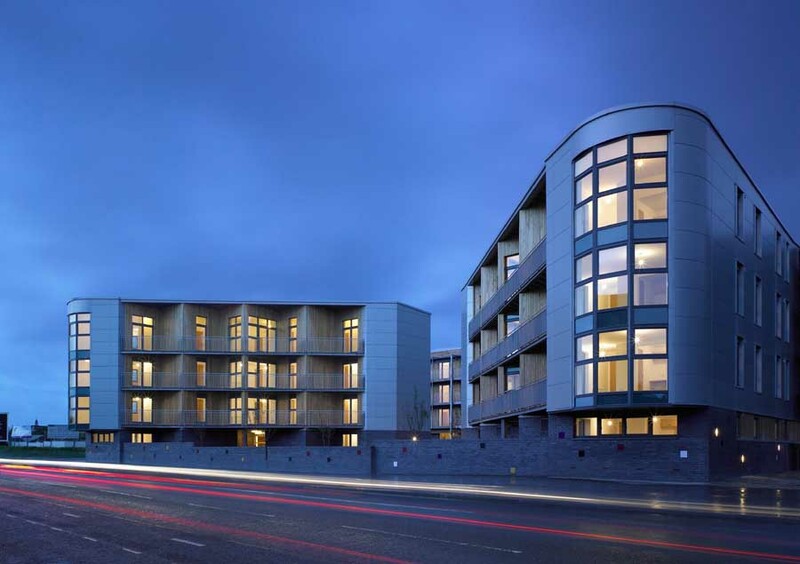 PagePark is a thriving Glasgow based practice of 35 staff working across a number of sectors including public building, conservation, education, housing and commercial projects. The practice has a reputation for thoughtful and dynamic design responding to what are often challenging and sensitive contexts. A concern for the future of the environment is refl ected in a thorough understanding of human relationships and aspirations in building design through to appropriate models for the shaping and development of the urban landscape. 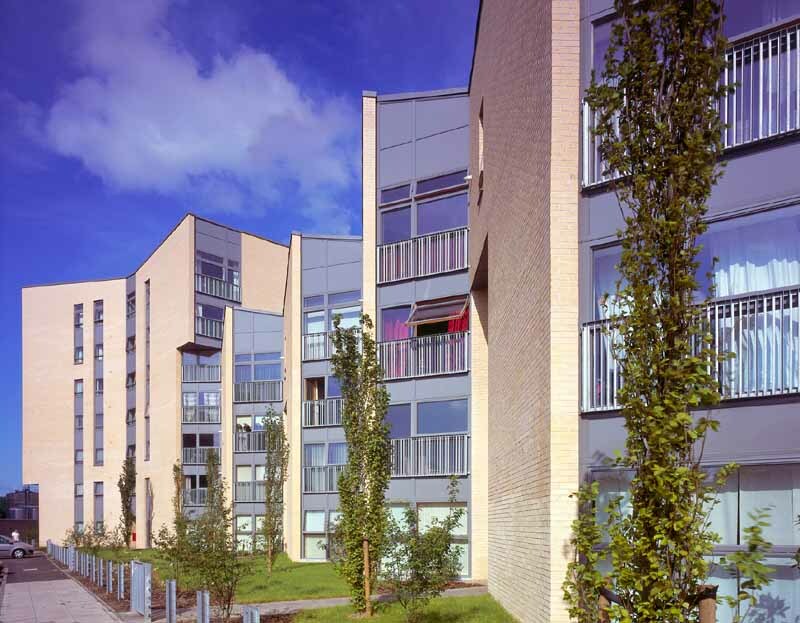 New Gorbals Housing Association provides the highest possible quality housing, environment and services to its customers and to contribute to the overall regeneration of the Gorbals whilst addressing the needs of the most disadvantaged members of the community.